Search the online cemetery records here. The Aurora Cemetery is located at 1309 North Highway 14, just one mile north of the City of Aurora. Our forty acre cemetery is home to approximately 22,000 burial sites. General Delevan Bates, who received a Medal of Honor in the Civil War, was a leader in the development of Aurora. General Bates had a vision to develop a cemetery to serve the families and friends of both Aurora and Hamilton County. “While yet alive and well, it becomes us as intelligent beings to make some provision for our final resting place. A spot of earth that we can call our own, around which we can plant the cypress and the willow and to which our friends can bring kind tokens of remembered when we have gone the way that all must go”. With these words, land was purchased from U.P.R.R and the Cemetery Association was formed. Although there were some burials on this land earlier than when the association was originally formed, they remained undisturbed thanks to the efforts of General Bates. Today, the Aurora Cemetery strives to maintain that vision of yesteryear and provide a tranquil resting place so that all may come and remember their loved ones, friends, and the heritage of our community. As Cemetery Sexton for the City of Aurora, Steve Patton holds overall responsibility for ensuring the Aurora cemetery grounds maintain a safe, tranquil and peaceful setting. In this position, Steve is also responsible for the sale of new lots and lot transfers as well as the filing of deeds and quit claims with the court house. He works closely with monument companies, veteran affairs, funeral homes, mortuaries and is responsible for maintaining office records, maps and budgets. 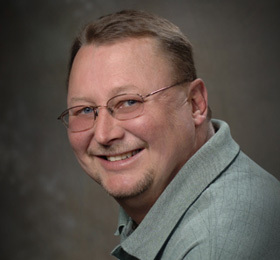 Steve’s brings a wealth of previous career experience in Maintenance to Aurora. He has held previous positions of Maintenance Technician, Maintenance Material Coordinator, and Purchasing Agent for the Iams Company and Plant Services; Chemical Preparation and Building Maintenance for Eastman Kodak Company of Windsor, Colorado. Steve has also held previous responsibilities with the City of Aurora which included working for the Water Department. Steve is a member of the “Sons of American Legion” (SAL) Post 42. He enjoys camping and woodworking and lives in Aurora. A cemetery is a history of people – a perpetual record of yesterday and a sanctuary of peace and quiet today. A cemetery exists because every life is worth loving and remembering – ALWAYS. – Author Unknown.